For the past ten years, more than 3,000 agency, advertiser, and media company leaders have gathered on an evening in March to Bowl for Breastcancer.org. To date, this fun annual event has raised over $4 million for Breastcancer.org! 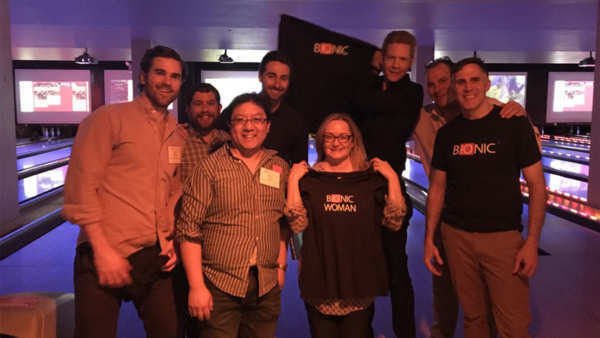 With bowlers from Merkle, Dentsu, BrandVerge, Adform, and Salesforce.com, Bionic’s 2019 bowling team contributed to this year’s 10th annual Bowling for Breast Cancer event, which collectively raised more than $400,000 on this single night to support the good works of BreastCancer.org. Donations are still rolling in… you’re not too late to make your own contribution. Breastcancer.org is a patient-centric resource for breast health and breast cancer information and support. They engage, educate, and empower women with expert information and dynamic peer support community to help them make the best decisions for their lives. The nonprofit organization was founded by breast oncologist Marisa C. Weiss, M.D. and born out of her conviction that women with breast cancer need more information and support than a physician visit can provide. Breastcancer.org receives more than 23 million visits each year! 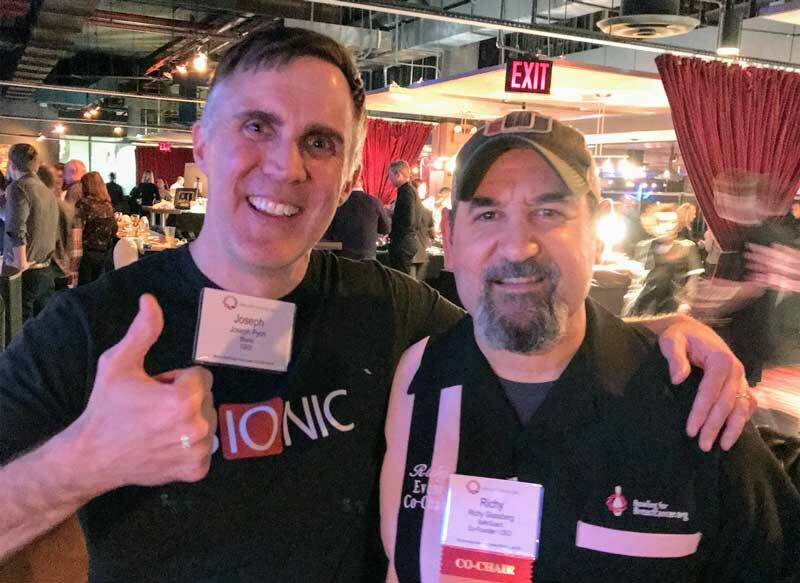 The 2019 Bowling for BreastCancer.org event was supported by generous sponsors from the advertising industry including AdWeek, Bionic, Blast, Digiday, Distillery, DoubleVerify, Drugs.com, eMarketer, Extreme Reach, Factual, Flashtalking, Freewheel, GasBuddy, GoodRx, Healthline, Hearst Autos, Hulu, iNvolved Media, Medialink, NBC Sports, Oracle Data Cloud, Rubicon Project, Screen Vision Media, Staq, Teads, Turner, Viacom, and Xander.